“Trump’s condoning of political violence is part of a sustained pattern of attack on a free press—which includes labeling any reportage he doesn’t like as ‘fake news’ and barring reporters and news organizations whom he wishes to punish from press briefings and events,” wrote the journalists, many of whom are retired after working for media outlets including ABC News, CNN, and CBC. According to the Washington Post, the letter (pdf) was originally intended as a response to the president’s praise of Rep. Greg Gianforte (R-Mont. ), who physically attacked Guardian journalist Ban Jacobs last year after Jacobs asked him a question about healthcare. Trump referred to Gianforte as “my guy” last Friday at a rally in Montana and joked about the assault, in the midst of international outrage over his failure to condemn Saudi Arabia hours after the kingdom admitted that Post columnist Jamal Khashoggi had been killed by Saudi agents earlier this month. On the heels of the recent brutal murder of a The Washington Post journalist Jamal Khashoggi, President Donald Trump chose to celebrate the assault of The Guardian reporter Ben Jacobs by an American congressman—an attack that occurred while the journalist was simply doing his job, posing questions to a politician. Montana Congressman Greg Gianforte (R) bodyslammed Jacobs, knocking him to the ground and beating him severely enough to send him to the hospital. Although Gianforte pleaded guilty to a misdemeanor assault and was fined, the President of the United States praised this violent behavior at a Trump rally in Missoula, Montana, on October 18. Former ABC News producer Meredith Wheeler conceived of the letter after Trump’s statement. “To hear him praise the Montana congressman in the wake of Khashoggi’s killing was just too much, too awful, too soon, and I thought we have to, as a group of journalists, stand up and protest this,” Wheeler told the Post. The open letter took on new meaning after it was released Thursday, a day after CNN‘s New York offices were evacuated after a pipe bomb was found in the mailroom. 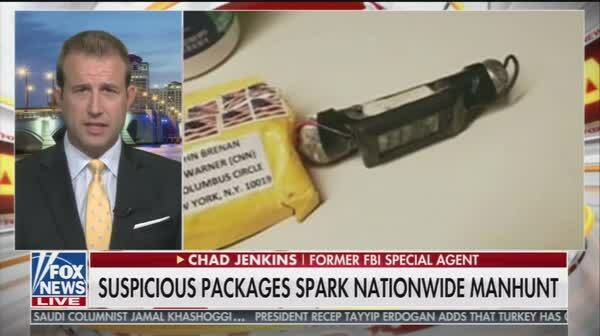 Similar packages were sent to Trump critics including Hillary and Bill Clinton, former President Barack Obama, former Vice President Joe Biden, and Rep. Maxine Waters (D-Calif.). Trump offered a perfunctory statement denouncing the attempted bombings in an appearance at the White House, but at a rally in Wisconsin later, he made clear that he takes no responsibility for threats of violence against his critics and those who report on his deeply unpopular presidency. In a tweet Thursday morning, Trump again placed blame for the attempted attacks squarely with the media itself—drawing rebuke from journalists and other critics on social media. Trump has no credibility to denounce these attempted bombings. Like other authoritarians, he has called for & praised political violence against opponents many times, calling the media the “enemy of the people.” A vote for Trump’s GOP is a vote to empower such hate & violence. Former ABC News correspondent Judy Muller, who also signed the letter, told the Post that she found Trump’s response to the attempted bombings “appalling,” adding that one could ” draw a straight line” from Trump’s anti-press rhetoric to this week’s events.